Nowadays, homeowners are very interested in providing their home with the most aesthetic appearance. They spend a lot of money and effort on ensuring that their home has got the best look. Homeowners in the Tacoma, Puyallup and Gig Harbor areas of Washington are on the lookout for material that will give their home a much better appearance. This is where Redi-Rock comes into play. Considered as an innovative retaining wall system, these large blocks can create stable walls of massive size without the need of a grid support system. The large blocks can weigh anywhere between 1500 to 2500 pounds. The Redi-Rock blocks are popular because they can hardly be distinguished from the natural rocks and thus provide a lovely texture and appearance to the Redi-Rock retaining wall. Found in a variety of shapes, sizes, textures and colors, they can be used to customize any wall and make it unique. Because there is such a large range of favorable features, this is one of the newest and most used materials for home builders and owners. 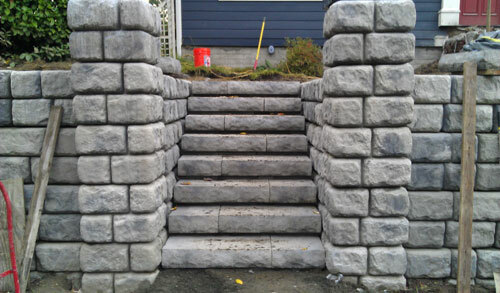 Retaining wall systems are quite commonly used for construction purposes and to add creative decorative structures to a yard. They have also assist in preventing soil erosion. They prevent unstable soil from washing away by holding back any loose soil. By reducing the effects of soil erosion, the structures on your property will be protected from damage. 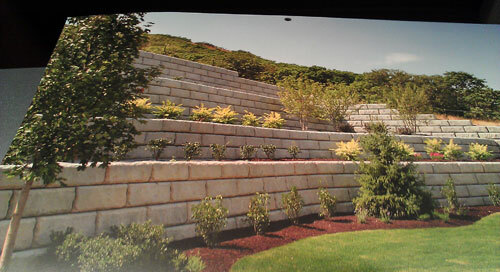 Redi-Rock retaining walls are known for their sturdy construction and can last for years to come. These walls are not only durable but also improve the beauty of the landscape in your garden. These walls are used in both residential and commercial buildings. 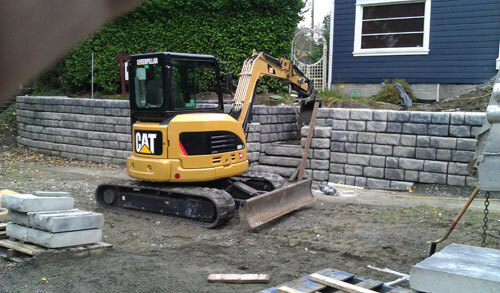 Redi-Rock retaining walls are the new best thing to hit the construction market. If you are interested in learning more about the applications of Redi-Rock retaining walls, then feel free to contact us at Cook's Concrete Construction, and we will be happy to answer all your questions.